The other day my friends insisted that we all went to get some ice cream from a delicious, but very expensive, ice cream shop near where we live. I went along thinking I would only be able to stare at what they ordered and feel sorry for myself. So when I asked “Do you have any dairy-free ice cream?” and the answer wasn’t a straight out “No” I was extremely excited. 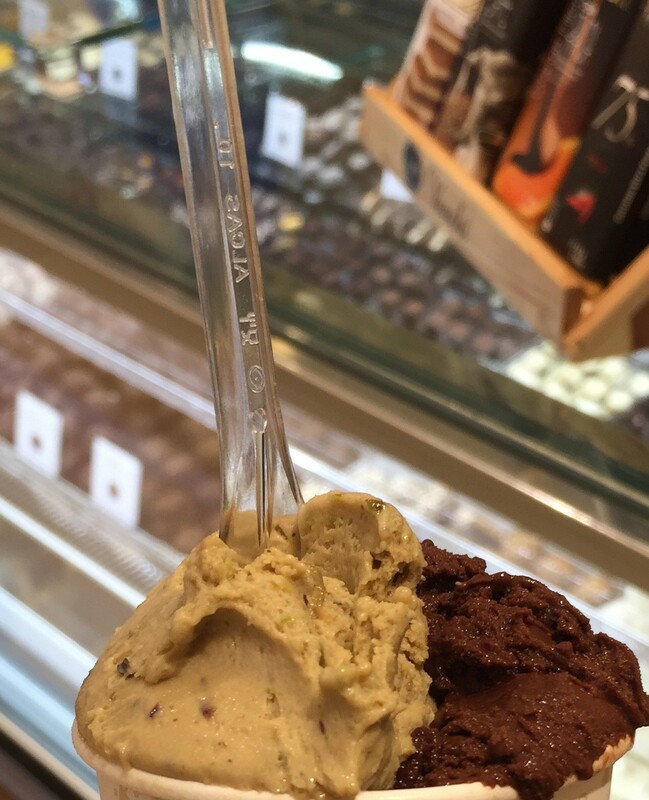 I tried all of the ‘dairy-free’ options that they had to offer me and in the end settled for a delicious dark chocolate sorbet and some pistachio ice cream. I raved about it so much, my dad went out to buy some pistachio ice cream for my mum and I the very next day. And that is when I realised I wasn’t feeling that well, and that I hadn’t been feeling that great since I had this suspiciously delicious ice cream. I put it down to the few cocktails I had that evening but I’m not one to feel too bad after a few drinks so I thought something was up. My mum then started to feel ill too after she mooed over the tasty flavour. After calling up the different branches of the ice cream shop, it came to light that this was not in fact dairy free. It took my stomach around 3-4 days to really get over being given dairy for the first time in months and my mum and I were not happy at all! It really is awful that this could happen, it may seem silly to someone who doesn’t know how it feels but imagine if someone was dangerously allergic and they had been told it was okay for them to eat it?! The worst part about all this is that we actually went back into the store and they still claimed it was dairy-free. This is despite the fact we had already been told it wasn’t and that they make all of their ‘dairy-free’ ice creams in the same containers as their normal ones. This is why I think that all restaurants should disclose their allergens to you on the menu. Or at least have the allergen menu available for anyone to observe, or even properly educate their staff. Some of my favourite dining experiences recently is when I’ve told people I can’t have dairy and instead of trying to recall from memory (which is notoriously unreliable.. psychology degree coming in here) they have just provided me with an allergen menu so I can eat without any worry. People may read this and think, ‘Surely this wouldn’t normally happen?’ – you would surprised. The amount of times people have responded to ‘I can’t have any dairy’ with ‘Okay so no eggs? No cheese? Wait – no – you can have cheese?’ or something along those lines is shocking. So I do apologise for this slight rant, but to sum up I think that allergens should be made clear on all menus, everywhere, for safety and everyone’s health!